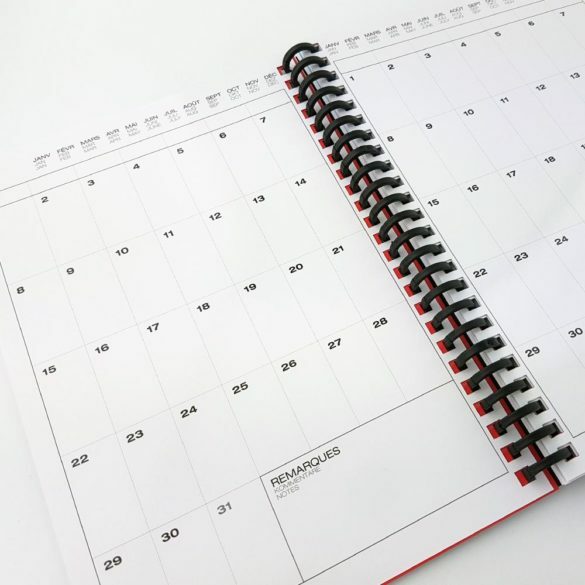 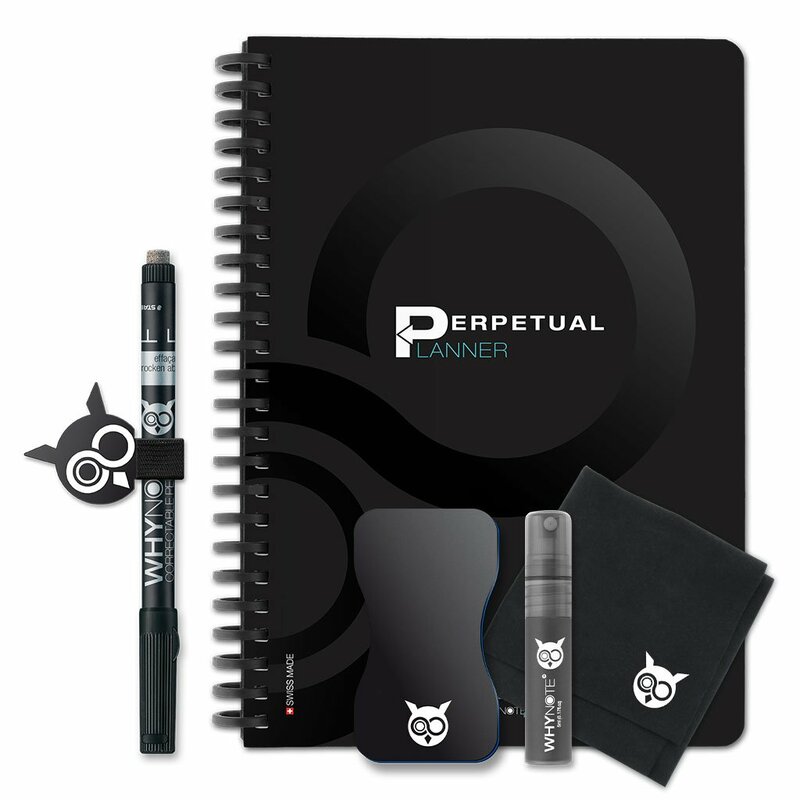 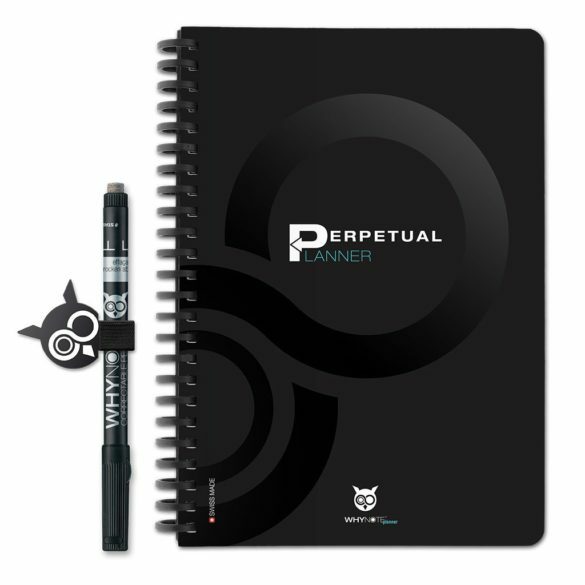 Perpetual Planner, reusable agenda notebook in A5 format. 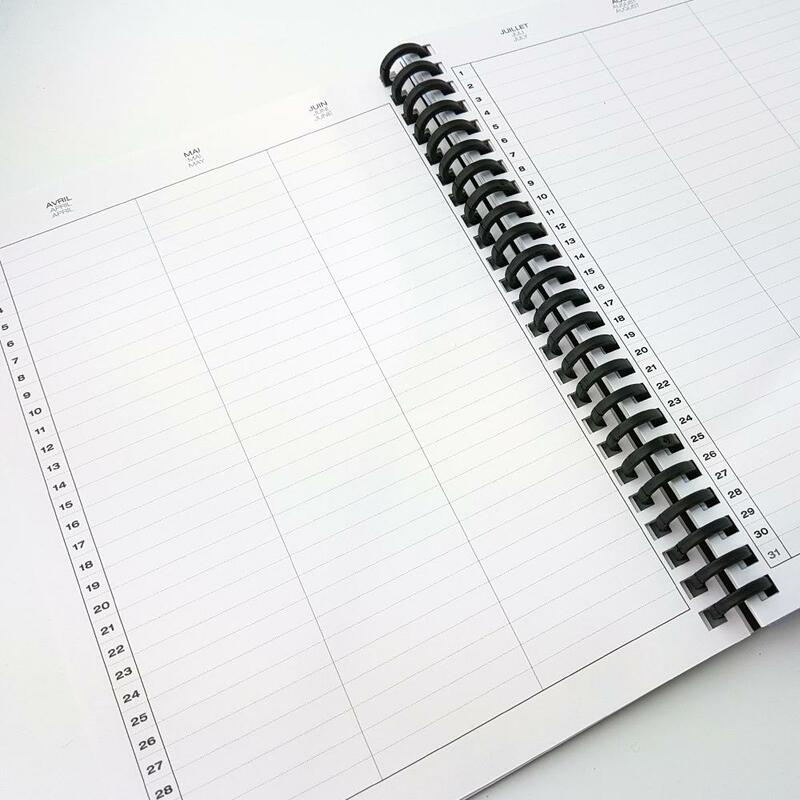 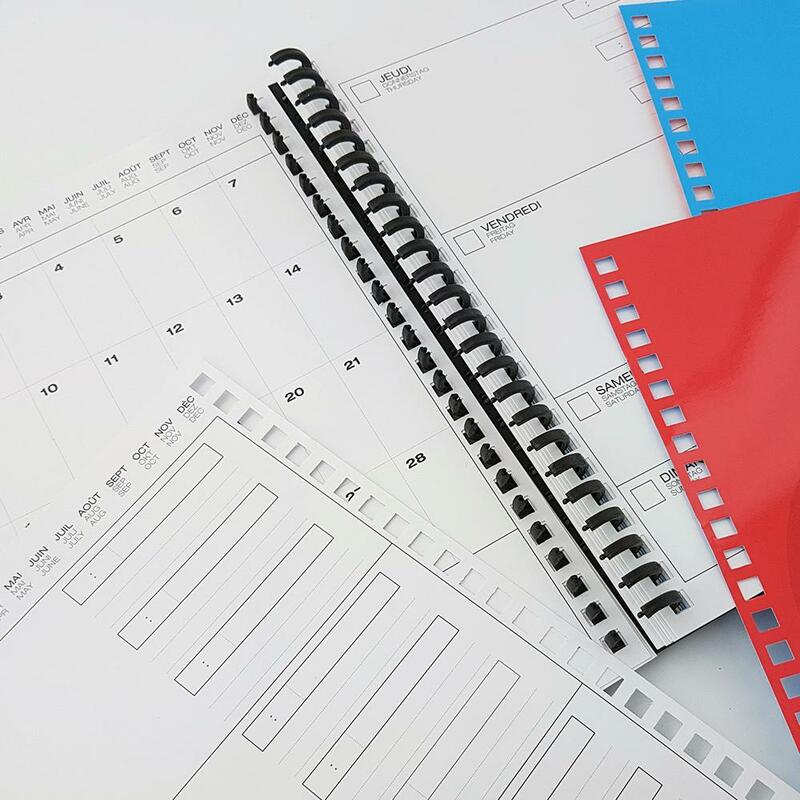 The perfect whiteboard planner notebook ! Note your appointments, schedule your projects and a lot more… to infinity ! 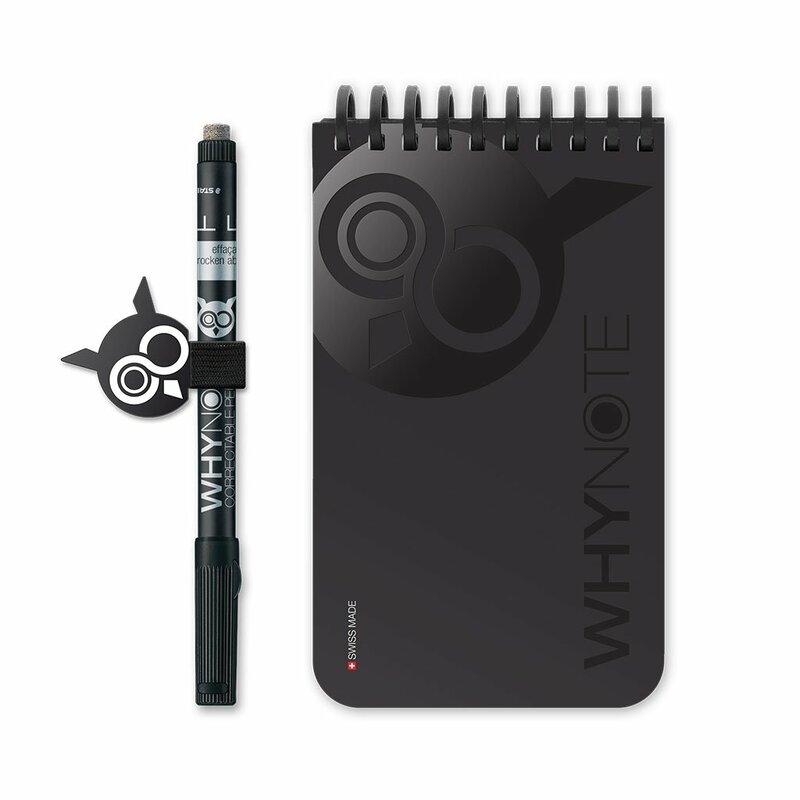 The WhyNote Book is both environmentally friendly and practical. 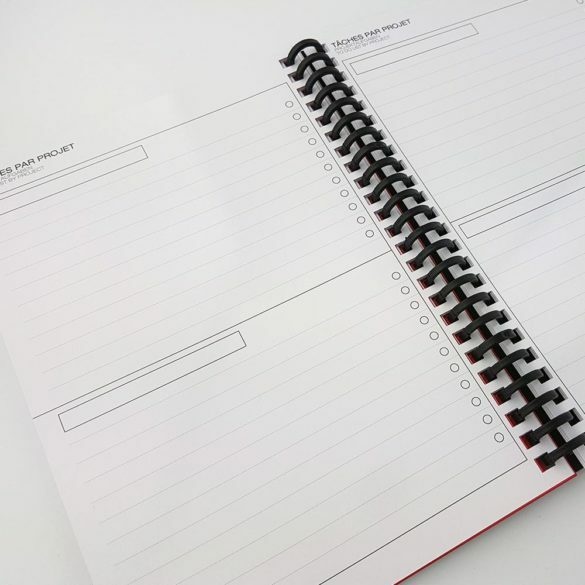 Real pocket whiteboard, this reusable notebook allows you to erase at will. Stop to the waste of paper! Its Swiss Made manufacturing ensures a local production with quality and respect for the environment. 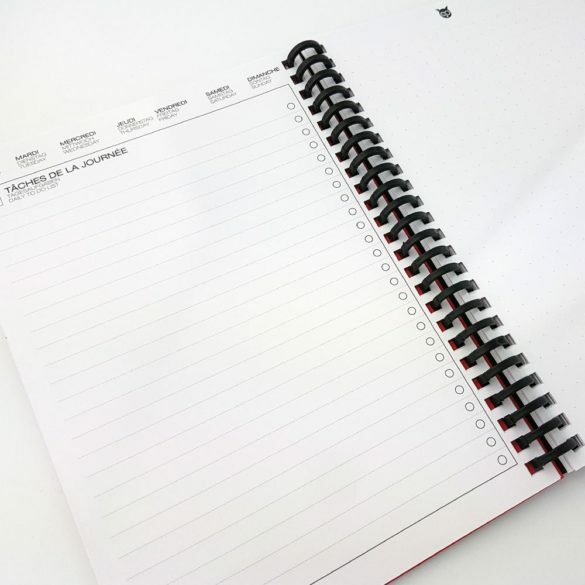 This way, the WhyNote Book considerably reduces its ecological footprint, whether for transport or for the control of selected materials for its production. 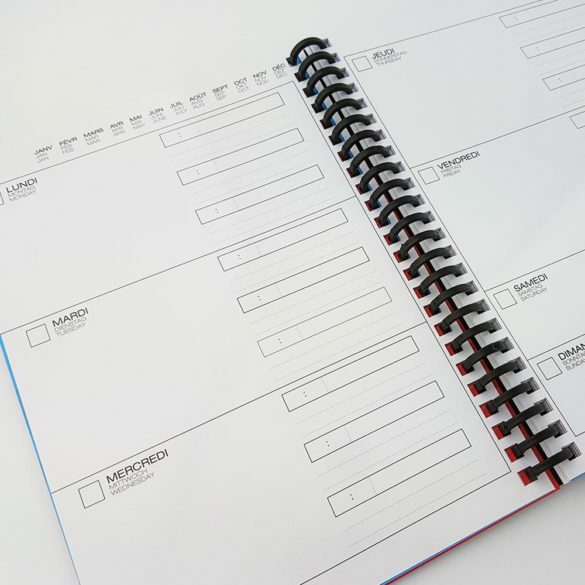 Imagine dozens of whiteboards stacked and reduced to Pocket, A5, A4 and A3 size. 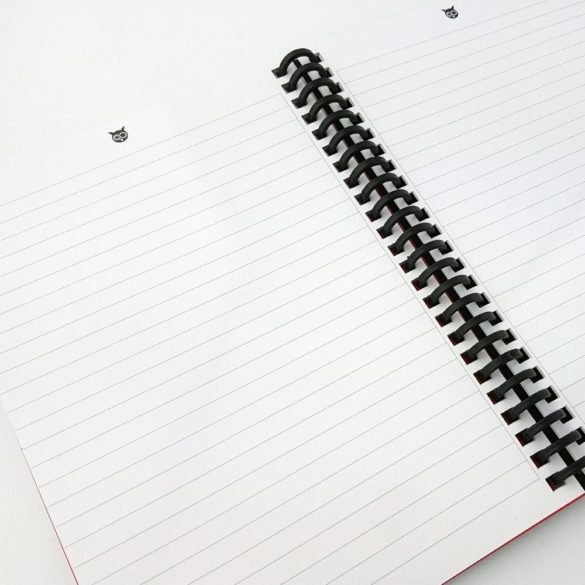 You get a notebook that can be erased and reused to infinity.